Heeft u een vraag voor Just Fine Krabi Hotel? Just Fine Krabi Hotel in Krabi Stad, Krabi is een populaire keuze onder reizigers. Gelegen op 0.1 km van het hart van de stad, bevindt dit 2-sterren hotel zich op een excellente locatie met de grootste attracties binnen handbereik. Dankzij de praktische locatie liggen alle belangrijke trekpleisters in de buurt van het hotel. Profiteer van de ongeëvenaarde dienstverlening en voorzieningen in dit hotel in Krabi. Maak in het hotel gebruik van een selectie topklasse faciliteiten, zoals gratis wi-fi in alle kamers, dagelijkse schoonmaak, taxi service, ticket service, snel in- en uitchecken. 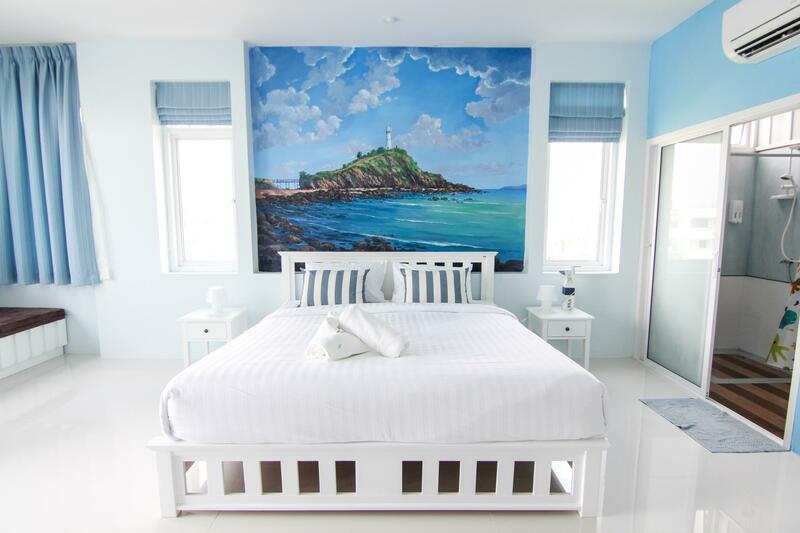 Het Just Fine Krabi Hotel beschikt over 12 kamers, allemaal smaakvol ingericht voor optimaal comfort, met voorzieningen als plasma tv, kledingrek, oploskoffie, thee, spiegel. Daarnaast garanderen de talrijke recreatieve mogelijkheden dat u zich tijdens uw verblijf kunt vermaken in het hotel. Wat de reden van uw bezoek ook is, het Just Fine Krabi Hotel is een uitstekende keuze voor uw verblijf in Krabi. Echt een heerlijk hotelletje, met super mooie schone en grote kamers. Ook het personeel was erg vriendelijk en behulpzaam. De bedden zijn alleen, zoals bijna overal in Thailand, aan de harde kant. In het hotel hing een zeer goede sfeer en ze kunnen hier vanalles voor je regelen. Wij hebben hier niet onbeten omdat we al heel vroeg weg moesten. Ook hebben wij hier maar 1 nachtje geslapen. Een mooie grote en schone kamer. Onder het raam een bankje gemaakt waar je heerlijk kan zitten en wat zacht is. Centrale ligging en vlakbij de foodmarket. Vriendelijk personeel wat erg behulpzaam is. Ontbijt kan je kiezen uit gebakken ei, omelet of roerei, maar wel lekker. Zeer ruime kamers, centale ligging hotel en vriendeljk personeel. Prima hotel met zeer ruime kamers en perfecte centrale ligging. Gewoon goed ! breakfast was included in the price, but they refused to serve us one morning with no explanation. we thought they had changed the bed linens, but they were only rotated (this we knew because of a conspicuous spot on the sheet from a bleeding mosquito bite). loud music from the market next door was bizarre, but mostly drowned out by the noisy AC unit. otherwise, a good central location. friendly staff. bathroom had warm water. Nice hotel, we have stayed on the 3th floor (in Thailand 4th floor). 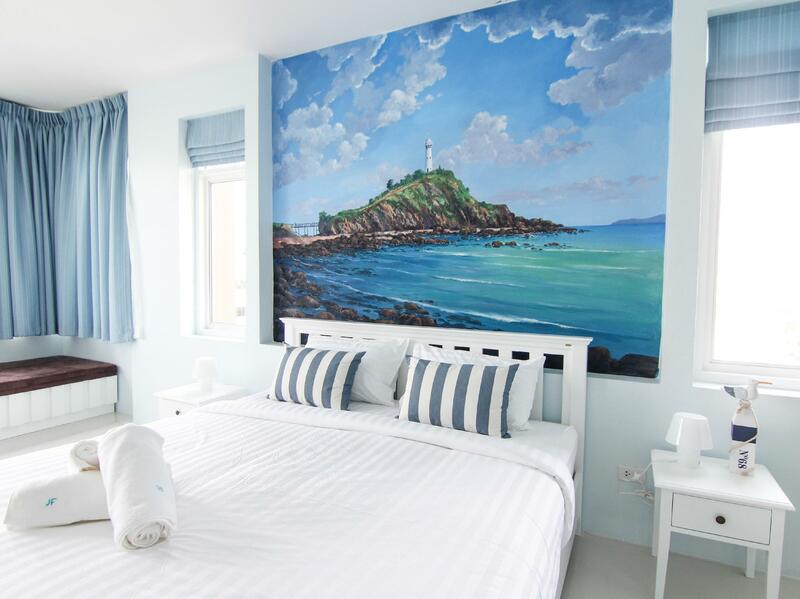 The room where we stayed in was very nice, I can highly recommend the white room with the picture over the bed. The have two of them, go for that with a little bit of river view. The pictures on Agoda are up to date and is exactly that how it looks like. There is no elevator, but the 3 floor is not a problem. The hotel is in a good location and everything can be reached easily by walking. The staff is very friendly and helpful. I would definitely stay again! Room 100% as per picture shown in Agoda. Price is cheap & affordable. Room is spacious & shower area are very clean without dust. Air conditioner, fridge, TV, hair blower all works perfectly. Very friendly staff who speaks perfect English. Hotel within 1 min walk to convenient store & fruit market, 3 mins walk to daily night market at Soi 10 Maharat Road, 3 mins walk to weekend night market behind Vogue department store, and 10 mins walk to Kong Ka Pier Night Food Hawkers. Will definitely stay here again should we return to Krabi Town. This hotel is great if you are transiting through Krabi on your way to the islands. Close to the ferry and surrounded by restaurants and of course, 7-11's. A highlight was the staff member who helped us a huge amount while we were there. She was really kind and made booking a ferry to the islands very easy. The room was really clean and quiet. Would not hesitate to stay here. Very nice room and good value. A nice midrange option with a mice clean room and veru helpful staff. The room are big, clean and good. 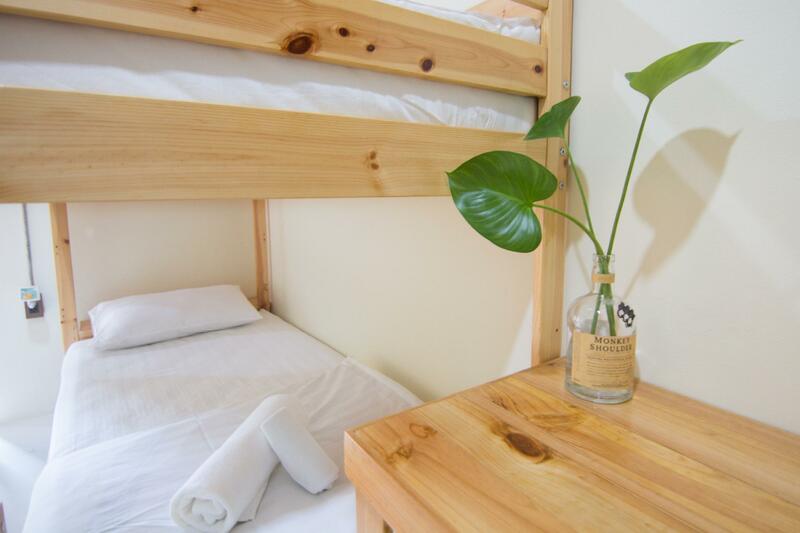 The location is in heart of the town.Next to the night market and walking street. You can find a lot of restaurants and sightseeing around. Not on the river but i think is for the best. From my balcony i can see the river and rocks. Their is no elevator but for me this is not a problem. its a small hotel and I love it. The staff is kind and very helpful. And help me a lot. We stayed here for one night while in transit to Phi Phi islands. An amazingly cute little nook of a hotel with a super cute nautical decor feel. Rooms are humble but everything you need for a few nights, night market is just around the corner as well as bars and seven eleven. Staff is extremely lovely and the little breakfast includes was lovely! Perfect for what you pay for. I was stayed in just fine hotel in one night. The staff gave us 4th floor's room, at first we are so unhappy because there is no lift, but once we open our room's door, we are amazed!!!! I believe there is different art pattern to every floor's rooms. The room is so sweet and comfortable!! Moreover, opposite of hotel is a cafe, and around you can see lots of cafes. Night market is near. Highly recommend!!! If you don't mind to go highest floor without lift, please request for 4th floor!!! You wouldn't be regret! Room was large, bright and clean. The staff were lovely and very helpful with suggestions and transport. The location is perfect, right next to the fruit market, across from a coffee shop and 7/11. Would happily stay here again. Great location, near the bus stop to the airport, walking distance to pretty much all the food location. Hotel is clean ans comfortable. Rooms are huge, nice view as well. Only problem is a faulty water heater, unable to control water temperature but small issue though. Would recommend hotel. Breakfast is simple and good. This is the perfect location in Krabi. Quiet, but central. Almost everything is within 5 minutes walk. Night markets on the weekend, Boats, food markets and taxis. The staff are relaxed and attentive. One morning the breakfast cook didnt arrive on time, but the receptionist cooked a great breakfast for us, so service was paramount. Just a warning that there is no lift, but our baggage was carried upstairs by the receptionist, even after we protested that we could do it! Fantastic! This place is located in City Plaza, a small square in central Krabi town, only 2 mins from a night food/fruit market and the river, 3 min from a 24h 7/11 and twice weekly Walking St and 5 min from the popular and good value riverside night food market and public boats to West Railay (150b). It is surrounded by stores, restaurants, coffee shops etc. The place is fairly new and squeaky clean. Our tiled floor room was very spacious, quiet and comfortable. Fully equipped except for a jug (the 7/11 has a hot water dispenser for that wake-up cuppa - I found no charge but I made sure I purchased a few other small items). A standout is the hotel's lovely staff. At $US50 including an okay breakfast I thought value was fair value in today's Thailand which is no longer the bargain destination of old.